Ultrasonic scaling is an integral component in achieving successful clinical outcomes in periodontal debridement procedures. Achieving optimal clinical results is the goal we strive for as clinicians, and although some of that depends on patient compliance, much is related to the choices we make in technology, technique, and our maintenance protocols. 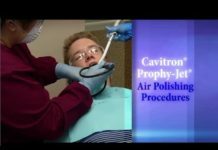 Choosing the right equipment, applying the proper technique, and ensuring patient comfort can lead to better clinical outcomes and higher patient satisfaction. The ultrasonic units themselves have evolved significantly over the years. The Cavitron Touch® Ultrasonic Scaling System, the latest edition from Dentsply Sirona Cavitron, has an intuitive touchscreen interface, a fully rotating handpiece, and a lightweight handpiece cable for improved ergonomic benefits. Cavitron Touch’s exclusive digital operating system is their most efficient system ever.14 The unique system runs so efficiently that it produces less heat, requiring less water for a better patient experience. Smart Scaling includes making the appropriate decisions with insert selection, based on the needs of each patient. Selecting the proper insert contributes to efficacy and efficiency in removal of deposits. 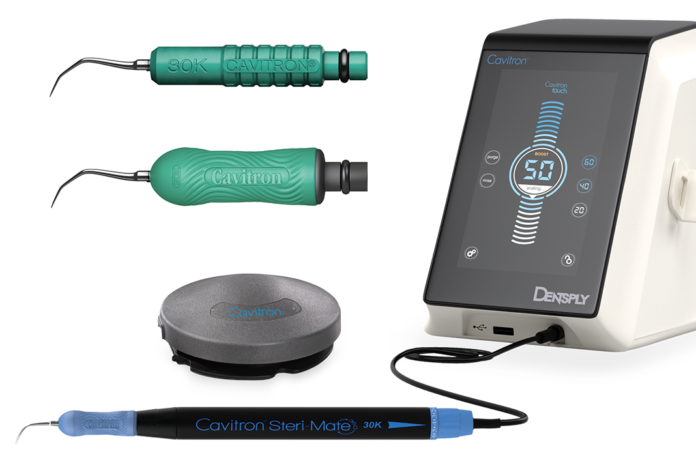 Cavitron® Powerline® Ultrasonic Inserts are thicker inserts with larger tips, specifically designed for efficient removal of heavier deposits. Utilizing this insert design is appropriate for patients with heavy, tenacious calculus whether generalized or localized, supra or subgingival. Once the deposit is removed, graduating to an insert with a thinner design is indicated for the finer debridement and biofilm removal stage. Cavitron® Slimline® Ultrasonic Inserts are 30% thinner than Powerline Ultrasonic Inserts for improved subgingival access. 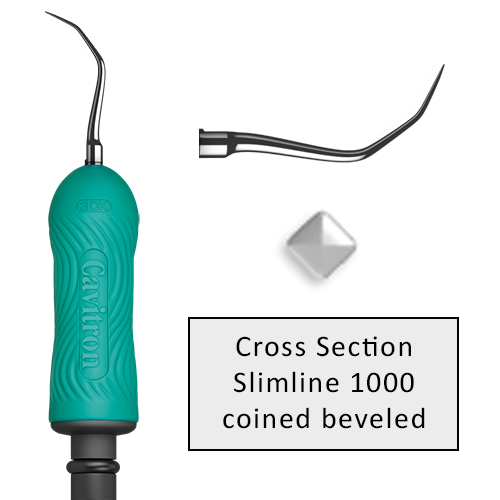 The Slimline family of insert designs includes a straight, triple bend and a set of curved right and left inserts which provide a full complement of inserts for light to moderate calculus removal in a variety of anatomical and periodontal presentations. The triple bends’ design in cross-section has a coined effect providing higher energy output at the corners which provides optimal results at line angles and in areas of tenacious deposit. The curved right and left inserts are area specific and inherent to such a design are their ability to adapt to anatomical areas such as multi-rooted teeth with precision and efficiency. The Thinsert can be used on high power due to its’ unique design. This is quite helpful when an area of tenacious subgingival deposit is encountered via tactile sensation with the Thinsert. The clinician can increase the power to aid in deposit removal, then proceed on low power to continue the finer debridement process. This is smart scaling in motion. Perhaps clinicians who utilize one insert design per procedure, are relying on hand instruments to complement the use of the one insert. However, did you know, in vivo and in vitro studies indicate that compared to manual root instrumentation, ultrasonic instrumentation produces less roughness and less loss of root substance.2 Similarly, Cobb described a loss of attachment of approximately 0.42 mm after scaling and root planning of shallow pockets utilizing hand instruments. These findings agree with three later systematic reviews and meta-analyses.3.4 Clinicians should continually self-assess and examine their rationales regarding instrumentation choices and practice according to the evidence. 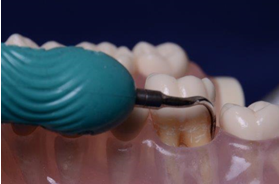 Responsible, appropriate, staged instrumentation with more than one insert design is part of the smart scaling equation when it comes to effective periodontal debridement. 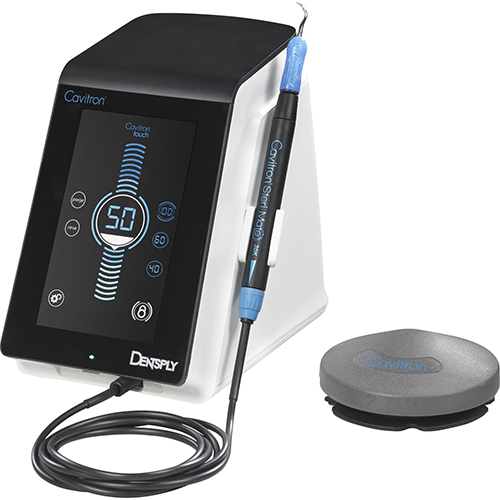 Root substance loss creates grooves and lines in the cementum providing a niche for bacteria to reside and can lead to dentinal hypersensitivity and patient discomfort.3 Proper technique is an essential component of successful ultrasonic scaling and debridement. It is prudent for the clinician to review the basic principles of ultrasonic technique for more effective, efficient, and safe outcomes. When proper adaptation is utilized, angulation of the insert follows along with an approximate 0-15-degree angulation to the tooth surface, similar to the concept of appropriate probing angulation. 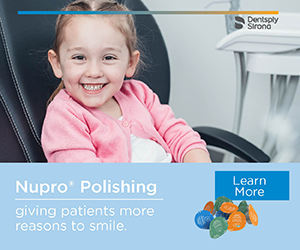 While insert selection and technique are critical factors in the overall success of periodontal debridement outcomes, it is essential for the clinician to recognize they are only as good as what is in their hands. While most clinicians are aware that ultrasonic inserts and tips have a particular life to them, did you know that 2mm of insert wear may increase scaling time by 30% along with an average of 40% more scaling force over the course of a procedure?13 These specific measurements are critical because it quantifies the amount of wear in direct relationship to efficacy and efficiency. Clinicians who may be experts in ultrasonic instrumentation, utilizing the newest of technologies and the correct technique, will not be effective with a worn insert, period. As clinicians, the choice in patient comfort lies not only in the clinician’s interest, but the patients’ needs and preferences. These decisions are at the heart of practicing evidence-based dentistry. 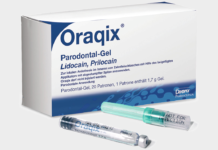 Adequate pain control can be achieved with Oraqix® (lidocaine and prilocaine periodontal gel) 2.5%/2.5%, a non-injectable, needle-free, FDA approved anesthetic. Did you know that Oraqix® is a pH neutral anesthetic which is safe for use on inflamed tissue and can be used in conjunction with injectable anesthetics? Utilizing the fundamentals of ultrasonic instrumentation, appropriate choices in insert selection and the least invasive anesthetic choice for pain management can provide more predictable, consistent clinical outcomes. Adopting the smart scaling strategies relies on clinicians knowing they are only as good as what is in their hands. While knowledge is power, and training is essential, having the right equipment is paramount to providing the best possible care to your patients. Smart Scaling… it’s the right thing to do. Cobb CM. Non-surgical pocket therapy: mechanical. Annals Periodontol 1996; 1: 443-90. Hung HC, Douglass CW. Meta-analysis of the effect of scaling and root planing, surgical treatment and antibiotic therapies on periodontal probing depth and attachment loss. J Clin Periodontol 2002; 29: 975-86. Thurnheer T, Rohrer E, Belibasakis GN, Attin T, Schmidlin PR. 2014. 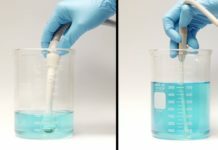 Static biofilm removal around ultrasonic tips in vitro. Clin Oral Invest. 2014;18:1779–1784. Hodges KO. Maximizing the working stroke. Dimensions of Dental Hygiene. 2015;13(7):32–36. Drisko C. Scaling and root planing without over-instrumentation: hand versus power-driven scalers. Curr Opin Periodontol 1993; 78–88. Ritz, Luca, et al. “An in vitro investigation on the loss of root substance in scaling with various instruments.” Journal of Clinical Periodontology, vol. 18, no. 9, 1991, pp. 643–647., doi:10.1111/j.1600-051x.1991.tb00104.x. Data on File – When compared to a new ultrasonic insert. Data on File – when compared to other Cavitron ultrasonic systems. Next articleHygienist Profile: Getting to Know Whitney aka Teeth Talk Girl!